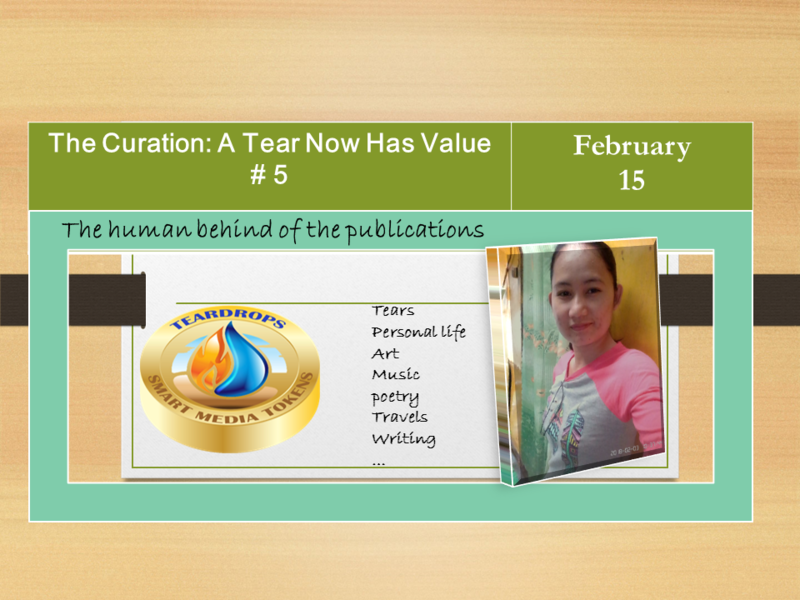 Welcome to the fifth edition The curation A Tear Now Has Value # 5, in this edition, 20 wonderful Steemians are rewarded with extra exposure and ascending votes to create inspiration and add tears of enjoyment. @morken He tells us: “Since I am a whale inside let me share to you as to how I realized the development that a human can get in working with steemit”. 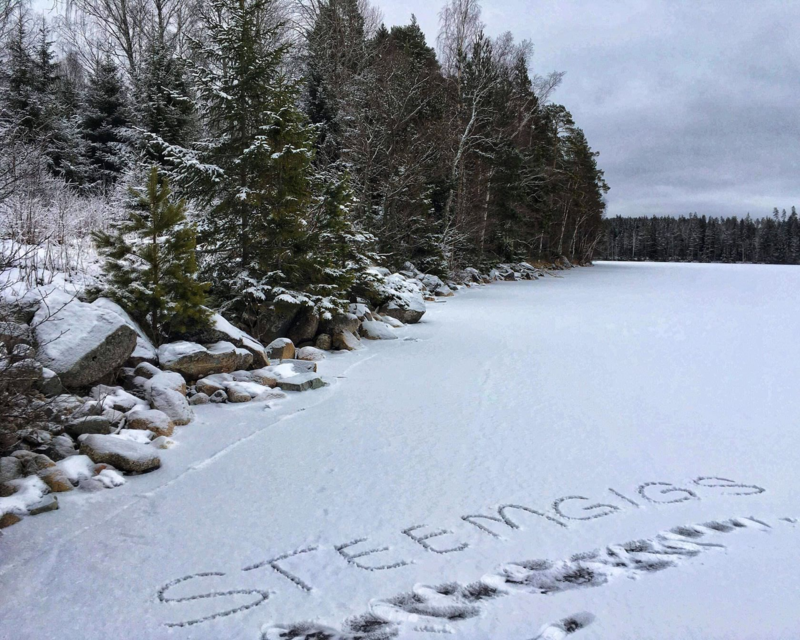 @morken is a follower of @steemsecrets and now he in his post wants to inspire you. HOW STEEMIT HELPS WITH YOUR THREE DOMAINS IN LIFE: Steemit as Continual Self-Development Steemit is for all Individuals! @baebiychel She presents the step by step of a beautiful mandala. Visit his post to watch the step by step, below in our drops you can see a thumbnail image Artwork #13 : Mandala Flora Art Simple and easy step by step processes provided! 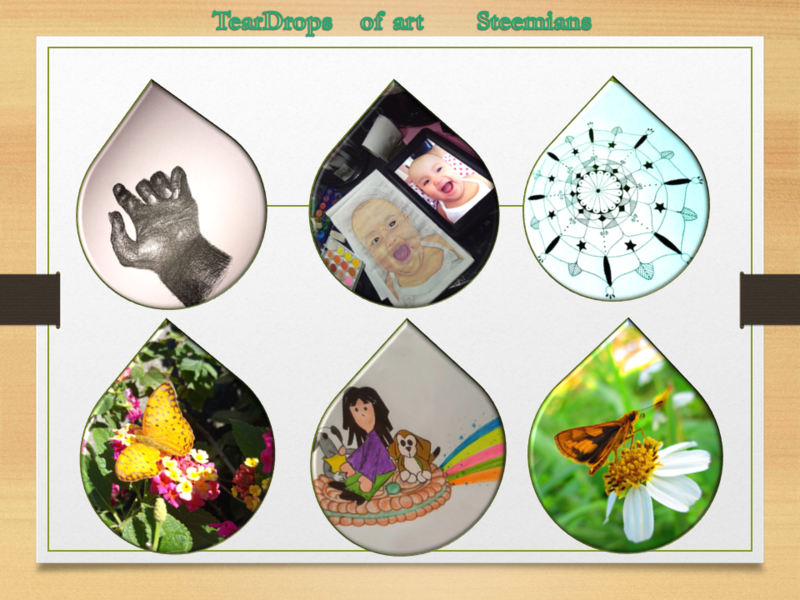 Teardrops invite to our Steemit family to show love, solidarity and support to each other.